June 20, 2013 June 20, 2013 PaulLeave a Comment on Mine Is Bigger Than Yours launches … Lives up to name. 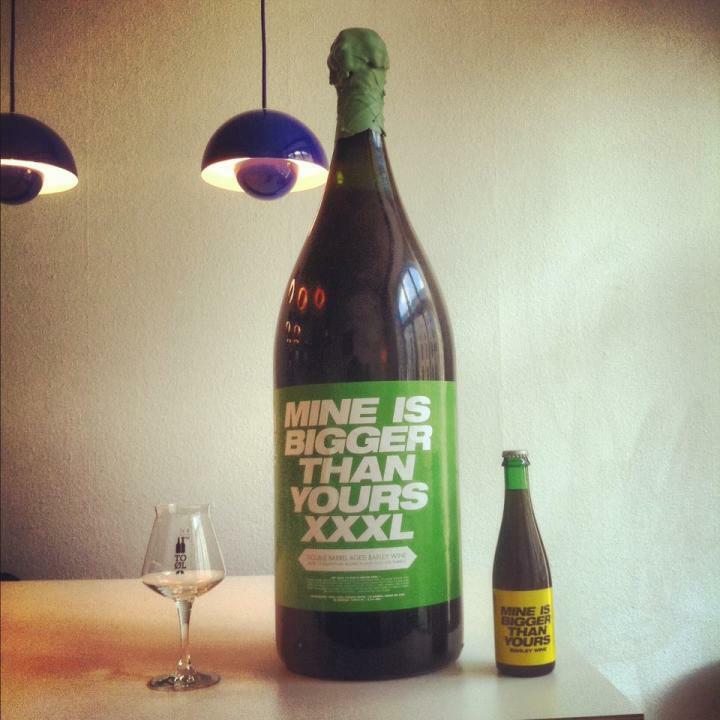 Mine Is Bigger Than Yours launches … Lives up to name. New brews are going on sale everyday but Mine Is bigger Than Yours is quite special, Not content with the endless ABV war that the companies are going through they decided to take a different tact to get noticed and noticed they most certainly will be. Mine is Bigger Than Yours is a barley wine aged in muscatel and bourbon barrels for 9 months before being poured into a 15 litre bottle, Yes you read that right this beer comes in 15 litre bottles. Sadly though the lunacy doesn’t stop there, Only 12 bottles are available world wide and they will set you back a wallet busting £1,995 and will only be available from beers of Europe. I love it when beer companies do this, I like to see them have a bit of fun every now and then. Sadly there is no way i can afford this. does someone fancy treating me? The picture at the top of this post is very much to scale.